Discover Dark brings you a further release from the prolific Philadelphia producer Colontonio. 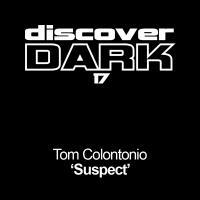 Not as "full on techno" as the last couple of Discover Dark releases but still with that dark and sleazy twist that has helped make Discover Dark one of our fastest growing labels. Apogee complete the package in style with some more heads down main room mayhem. 'Suspect' is available now from Beatport and iTunes.